Home ChaiKhana Dogri Stickers now available on Google Playstore. Ajj ge install karo! 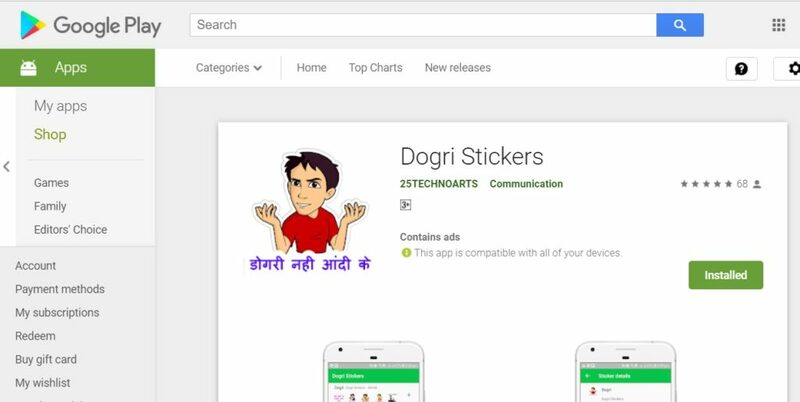 Dogri Stickers now available on Google Playstore. Ajj ge install karo! 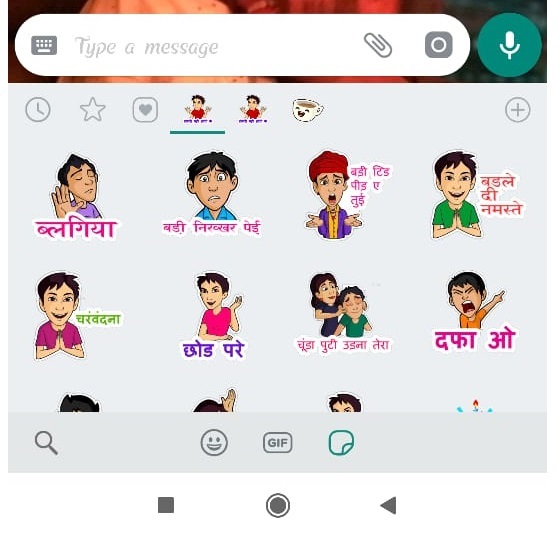 25 Technoarts, an IT company based in Jammu, has developed an application titled ‘Dogri Stickers’, which enables you to communicate in ‘साहड़ी डोगरी’ on WhatsApp with your loved ones. 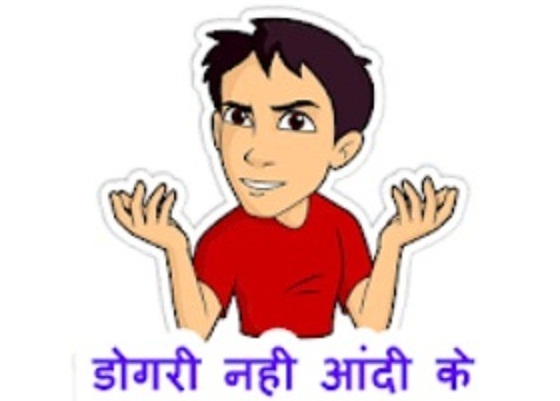 The app has stickers for some of the very popular Dogri phrases, from के हाऽल है to तेरा बड़ा मंदा लगदा, that make your conversations amazingly interesting. 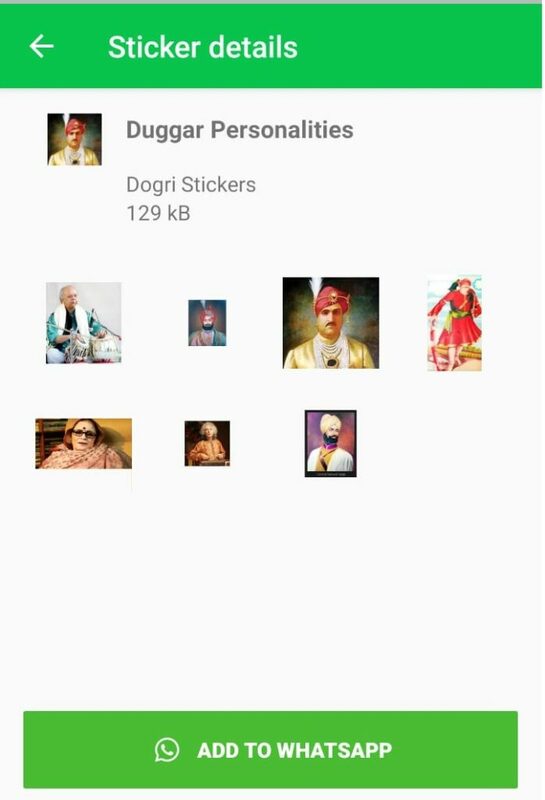 Also, the app contains stickers of prominent Dogri Personalities, for instance, Maharaja Hari Singh, Padma Sachdev and many more to be soon added. For all the Dogras, it is indeed a proud moment, to have an app of their own. The 6.1 M sized app is available on Google Play store, and requires the person to have Android-based devices. One can also get a logo, or customised sticker for message/phrase/expression by contacting the developer team. – Click on ‘+’ to add the stickers to Whatsapp. Confirm the action by clicking on ‘Add’. 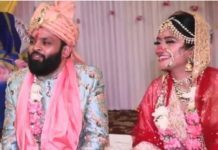 Divyavasu Sharma, a software engineer by profession, like every Dogra, is proud of माँ डोगरी, and wanted to do something to promote the language. He calls the Dogri Stickers app, a small endeavour from his side. “We are also developing an app where the text can be converted from Hindi/English to Takri, the original script for Dogri.” – as told to Voice of Dogras. Kudos to people like Divyavasu, who are encouraging the Dogri language in their own way. 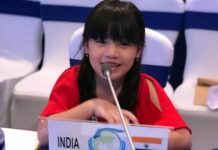 आज गे लब्बो डोगरी स्टीकर!